The V&A in Dundee is Scotland’s first design museum. An international centre of design, the V&A Dundee presents the brilliance of Scottish creativity and the ‘best of design round the world’. 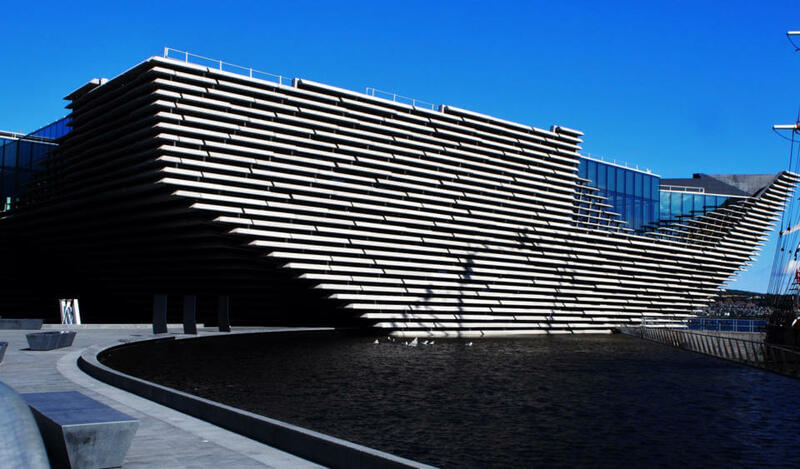 The V&A Dundee was designed by renowned award-winning Japanese architects Kengo Kuma & Associates. Special exhibition entrance costs and possible pre- booking required. Royal Research Ship Discovery is a barque-rigged auxiliary steamship built for Antarctic research and launched in 1901. 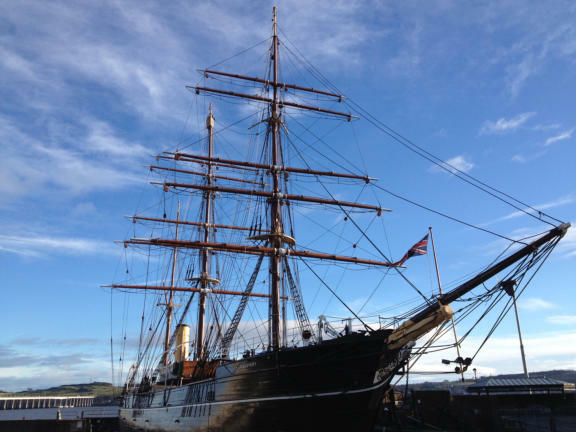 The Discovery was the last traditional wooden three masted ship to be built in the United Kingdom. The British National Antarctic Expedition set off onboard the Discovery in 1901 under the command of Robert Falcon Scott with a pioneering crew that included Ernest Shackleton and zoologist Edward Wilson. RRS Discovery is based at Discovery Point Visitor Centre. Built by A & J Inglis, Glasgow 1933. This was the last functioning lightship in Scotland when decommissioned in 1974. Relive the story of Dundee’s industrial textile heritage in the beautifully refurbished Mill. 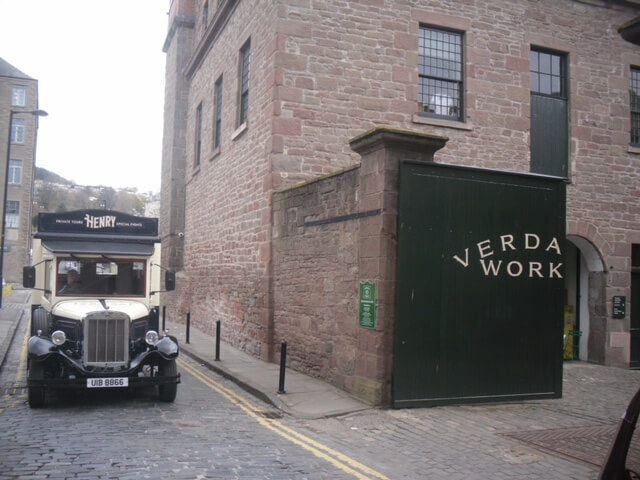 Step back in time and be regaled with tales of the mill workers and how they lived, with interactive displays telling the story of local 19th-20th century jute production. Dundee’s Art Gallery & Museum. The McManus Galleries is a gothic-revival style building, housing a museum and art gallery with a collection of fine and decorative art as well as a natural history collection. 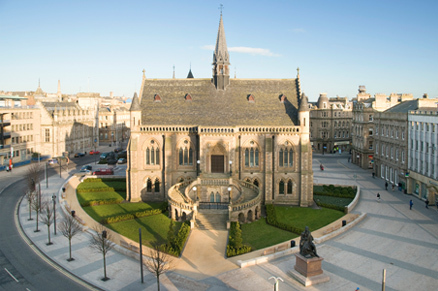 It offers a fascinating insight into Dundee with 8 galleries to explore. The old church yard burial ground of St Clement 1564. The name the Howff is from an old word used to describe a meeting place. A cemetery of seamen, nine trades and other historic persons. 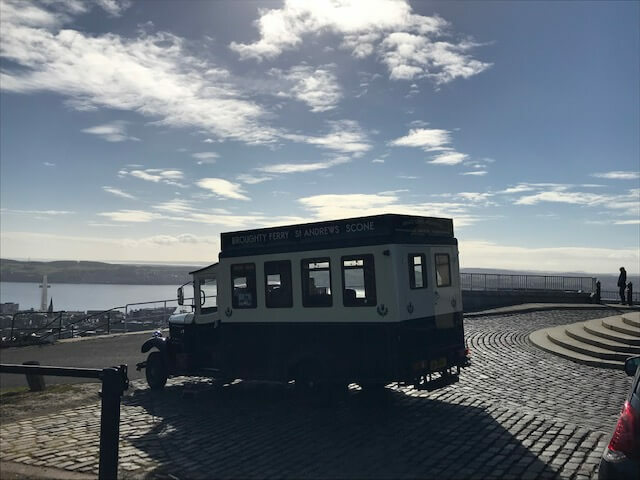 Visitors can step back in time to an era of horse-drawn trams and steam power, while discovering amazing stories of local pioneers. 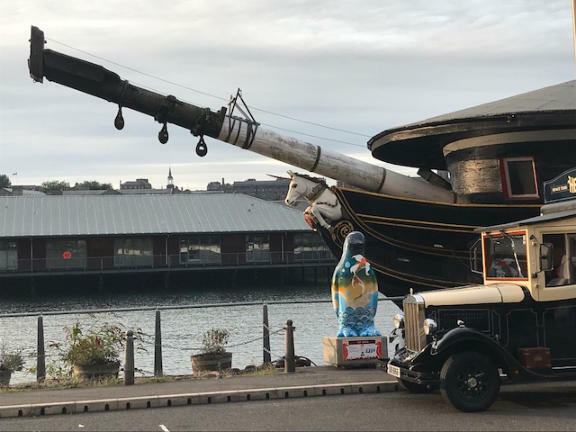 Star attractions include Chitty Chitty Bang Bang and a fantastic collection of vehicles. The Law is an area with a predominant feature of a war memorial sitting atop an extinct volcano nestled in the centre of Dundee. Being the highest point of Dundee, on a clear day The Law gives splendid 360 degree views making it a fantastic photo opportunity. The second Tay Bridge carries the railway across the Firth of Tay between Dundee and the suburb of Wormit in the Kingdom of Fife. It was constructed in 1887 and is 3.5 kilometres in length. 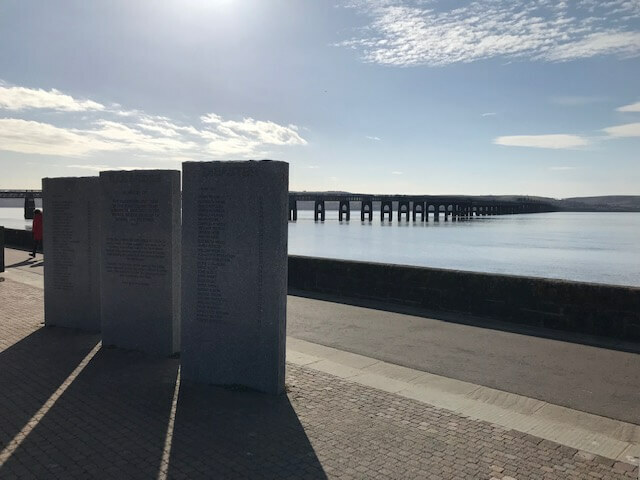 The first Tay Bridge was erected in 1878. Sadly disaster struck during a violent storm on Sunday 28th December 1879 when it collapsed whilst a train was passing over it from Wormit to Dundee killing all 59 aboard. The first purpose built public astronomical observatory in the UK being built in 1935 (presently the main telescope is under repair). Admission costs not included in Henry’s tour. Set in the picturesque Country Park there is a small wildlife centre housing many species including a European brown bear, golden eagle and more. Private enterprise tour provider not linked with Henry Tours Local guides do a pre-booked 1 hour walking tour in Dundee. We could take you to the meeting point and await your return at a finishing point, then allowing you to carry on your journey with Henry. 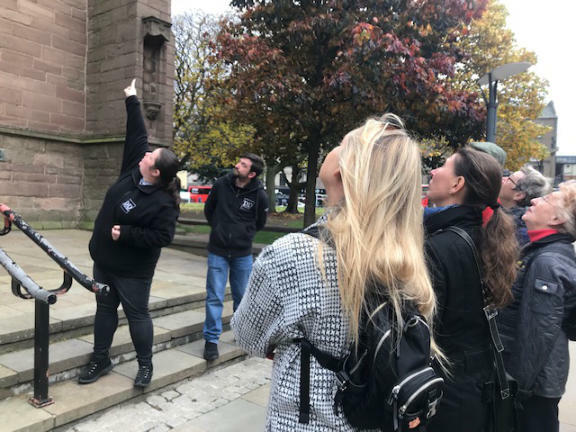 If Henry has less than 7 guests a local DD guide can be pre-booked to come with you on your journey around Dundee for a personal historic guided tour at a cost. Please note DD tours and guides are organised by us on your behalf and booked separately. Payment will be made direct to the supplier on your behalf.